Last weekend we put Chhori to nap and tuned her baby monitor camera on. Then we went to the lounge room to turn on the monitor so we can check on her. She normally just wakes up, opens the door and comes out but sometimes when she has nightmares, she will wakes up crying. So this monitor has been really good for us since she was a baby but on Saturday we couldn’t find it at all. We looked at every possible place it could be in with no luck. While searching, we realised that the TV remote was missing as well and we usually place the two together. Eventually we gave up as we couldn’t think of any other place they could be in. 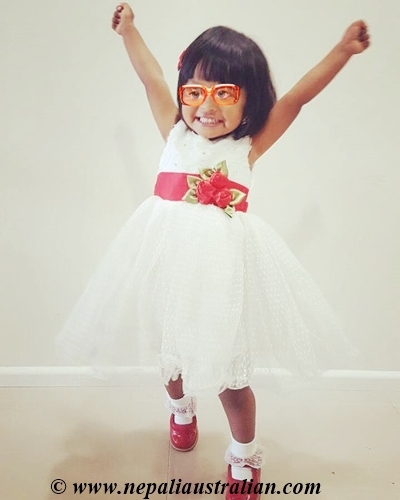 After her nap, Chhori woke up, opened the door to the room and came out of the room refreshed and happy. So we had the following conversation. We had checked in her room but we hadn’t found it. At this stage, she took my hand and took me to her room. She went through her toys and it was in one of her toy box. Both remote and monitor sitting there in the box together. Did you have similar experience with your child when they were little? 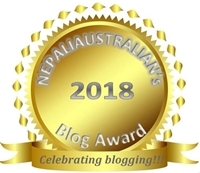 This entry was posted in Being Mum, Our daughter and tagged baby, chhori, cutie pie, daughter, family, kids, love, M from nepaliaustralian, my daughter, my world, Nepal, Nepali, nepali australian, Nepali blog, Nepaliaustralian, nepaliaustralian turns one, personal journey, toddler. Bookmark the permalink. LOL I remember this stage so well. They surprise just how quickly they grow and develop. Parenthood is an endless game of catch-up! She has definitely grown up now. It is just we keep forgetting that 😃. Thanks girl. At least she doesn’t attempt to plug in something into electric sockets . That’s what my 1 year old brother did according to my mother. OMG that is so dangerous. So far she hasn’t done scary stuffs and hope she won’t in future.